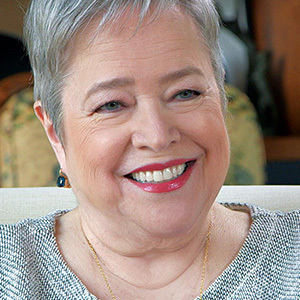 Academy Award-winning actress Kathy Bates knows how important it is to present your best face to the world — and one of the most important features of that face is a beaming smile. But there came a point when she noticed something was a little off. “I've always had good teeth, but it seemed to me as I was getting older that they weren't looking as good,” Kathy explained in a recent interview with Dear Doctor magazine. That's when she decided it was time to take action. Kathy had orthodontic treatment when she was in her fifties, and she keeps her smile bright with tooth whitening treatments. She uses a kit provided by her dentist with a safe, effective whitening solution. Of course, a bright, healthy smile looks great anywhere — whether you're on the red carpet or “off the grid.” And you don't have to be a Hollywood star to have professional whitening treatments. In fact, teeth whitening is one of the most popular and affordable cosmetic treatments modern dentistry offers. The basic options for professional teeth whitening include in-office bleaching or take-home kits. Both types of dentist-supervised treatments offer a safe and effective means of getting a brighter smile; the main difference is how long they take to produce results. A single one-hour treatment in the office can make your teeth up to ten shades lighter — a big difference! To get that same lightening with at-home trays, it would take several days. On the plus side, the take-home kit is less expensive, and can achieve the same results in a bit more time. It's important to note that not all teeth can be whitened with these treatments. Some teeth have intrinsic (internal) stains that aren't affected by external agents like bleaches. Also, teeth that have been restored (with bonding or veneers, for example) generally won't change color. And you can't necessarily whiten your teeth to any degree: Every tooth has a maximum whiteness, and adding more bleach won't lighten it beyond that level. Most people, however, find that teeth whitening treatments produce noticeable and pleasing results. What about those off-the-shelf kits or in-the-mall kiosks? They might work… or they might not. But one thing's for sure: Without a dentist's supervision, you're on your own. That's the main reason why you should go with a pro if you're considering teeth whitening. We not only ensure that your treatment is safe — we can also give you a realistic idea of what results to expect, and we will make sure that other dental problems aren't keeping you from having a great-looking smile. If you're considering dental implants to replace one or more missing teeth, you'll need to undergo a minor to moderate surgical procedure (depending on the number of implants) to install them. 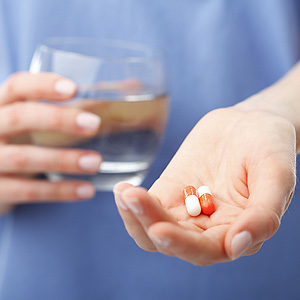 Depending on your current health status and medical history, you may need antibiotics before or after the procedure to help ensure a successful outcome. Although implants have a high success rate (over 95%), they can still fail — and bacterial infection is a major culprit. Installing implants requires surgically accessing the bone through the gum tissues; you may also need other invasive procedures like tooth extraction or bone or gum tissue grafting. These disruptions to the soft tissues can introduce bacteria into the bloodstream. In certain individuals, this can increase infection risk not only around the implant but also in other parts of the body. You may be at higher risk, for example, if you have serious health problems like cardiovascular disease or diabetes, a weakened immune system, you use tobacco or you're over or under normal weight. The American Dental and American Heart Associations both recommend antibiotics before dental implant surgery as a preventive measure against infection if you have a prosthetic heart valve, a history of infective endocarditis, a heart transplant or some congenital heart conditions. For other patients with low to moderate risk for infection, there's vigorous debate on administering antibiotics before implant surgery. There are some side effects to antibiotic use, ranging from diarrhea to allergic reactions, and an increased concern in general to the developing resistance of many infectious agents due to the prevalent use of antibiotics. Many dentists and physicians are becoming more discriminate in the patients for which they prescribe antibiotics before surgical procedures. It really comes down, then, to your particular case: not only the specific procedures you need but also your general health. After weighing these factors against the possible benefits for protecting your health and improving your odds of a successful outcome, we'll recommend whether antibiotic treatment for implants is right for you. If you would like more information on the role of antibiotics in dental procedures, please contact us or schedule an appointment for a consultation.